Many WikiLeaks supporters were caught unawares when members of the Wikileaks Party met with Syrian President Bashar al-Assad in late December. The WikiLeaks platform was quick to distance itself from the initiative on Twitter. @WikiLeaksSForum @WikiLeaksParty Peace brokering a good idea, but obvious meeting would be spun without care. Did not know or approve. It's an extraordinarily reckless thing for an organisation registered as a political party in Australia to try and insert itself in the appalling conflict in Syria for their own political ends. When news of the meeting first hit the Internet, it became clear that many supporters of the WikiLeaks transparency platform knew little about the party to begin with. 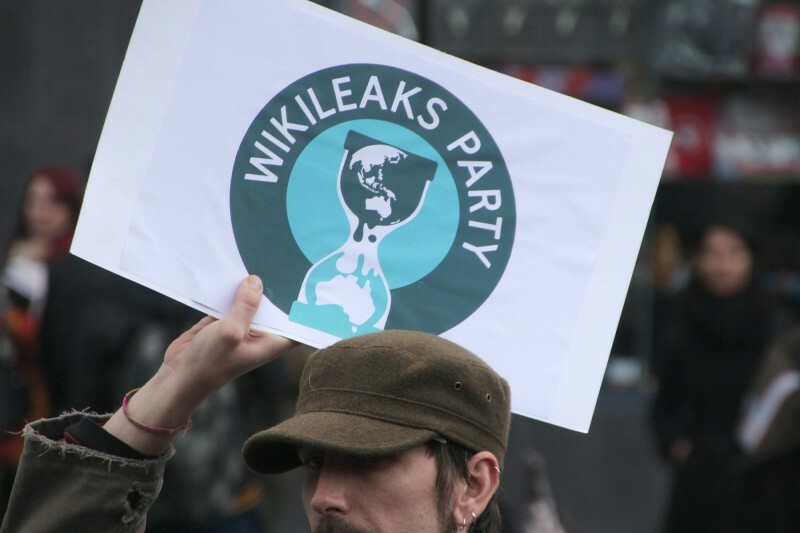 The WikiLeaks party, although institutionally separate from the platform, was created in 2013 to support Julian Assange's candidacy for the Australian Senate. In the September Federal elections, Assange led a group of New South Wales Senate candidates, with a number of Wikileaks Party members standing in other states. Assange and his party endured a dismal electoral failure, gaining less than 1.0% of the Senate vote. Is the party purely a vehicle for WikiLeaks founder Julian Assange to get elected to the Federal Senate, and thus earn himself a ticket out of the Ecuadorian Embassy in London? Or is it a legitimate new political movement in Australia, which will achieve legitimacy beyond Assange personally? Shipton subsequently stated that the meeting with al-Assad was “just a matter of good manners”, and that the delegation had also met with members of the Syrian opposition. Despite John Shipton and Wikipedia indicating that the delegation also met with the Syrian opposition, details have not become available yet. Accompanying journalist Chris Ray did not mention the meetings in his post. Responding to WikiLeaks initial tweet, Wikileaks Party National Council Kellie Tranter tweeted that she too had no prior knowledge of the meeting. As a Wikileaks supporter since 2006, right from the beginning (and I remain a public backer of the organisation), it’s tragic to see the Wikileaks Party in Australia, after a disastrous 2013 election campaign, descend into political grandstanding. @WikiLeaksSForum @wikileaks @WikiLeaksParty If you think you can assess someone's viewpoint from a few tweets, you're simplistic. Doubtless, Shipton and other delegation members will face many questions when they return to Australia.